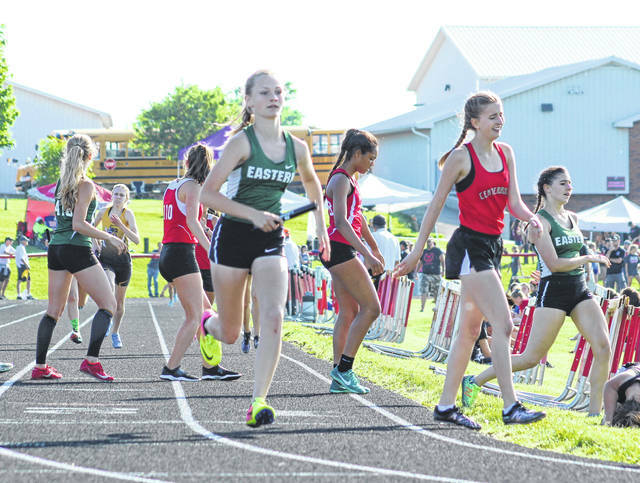 Eastern freshman Ashton Guthrie takes off after receiving the baton from teammate Rhiannon Morris, right, during the third leg of the Division III Region 11 4x800m relay final held Wednesday night at Fairfield Union High School in Lancaster, Ohio. LANCASTER, Ohio — It was a tough opening night, but not all was lost. 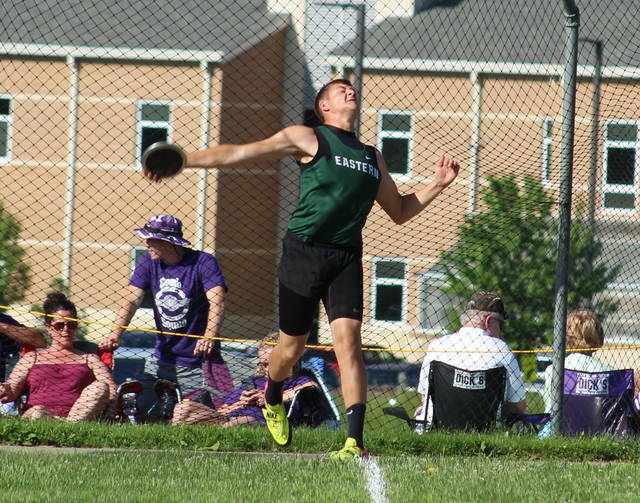 Eastern junior Noah Browning had the lone bright spot for the Ohio Valley Publishing area on Wednesday night during Day 1 of the Division III Region 11 track and field championships being held at Fairfield Union High School. Browning placed third in the second heat of the 400-meter dash semifinals, which ended up being the fifth-fastest overall mark. His time of 51.23 seconds moves Browning into Friday’s final, with the top-four placers moving on to state. EHS sophomore Mason Dishong had his season come to an end after finishing 13th in the discus with a throw of 124 feet, 5 inches. Dishong’s final throw was more than eight feet longer than either his first two attempts. The 4x800m relay team of juniors Ally Durst and Rhiannon Morris, as well as freshmen Ashton Guthrie and Whitney Durst, posted an 11th place time of 10:43.43 in the final. Southern sophomore Baylee Wolfe cleared the 4-foot-10 mark on her second attempt in the high jump final, but ultimately went no higher and finished 15th overall. None of the local programs — Eastern, Southern and South Gallia — have scored a point after the opening day of events, but all three programs are represented in Friday’s finale. Northmor currently leads Worthington Christian by a 20-16 margin atop the boys leaderboard, with 22 teams scoring at least one point after four events. 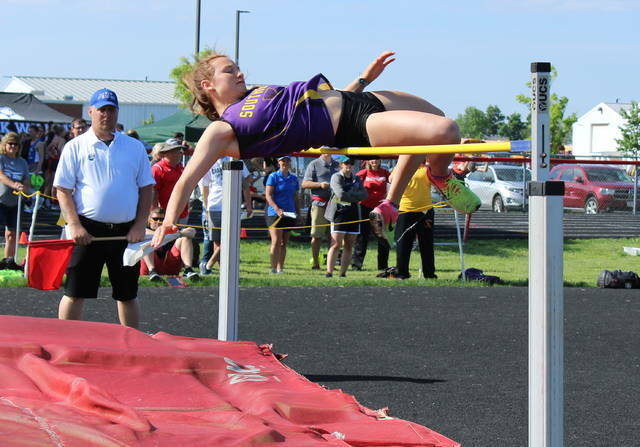 Mount Gilead is ahead of Mohawk by a 26-13 margin atop the girls standings, with 22 teams scoring at least one point through three events. The conclusion of the Division III Region 11 track and field championships will be held Friday evening at FUHS. Visit baumspage.com for complete results of the Region 11 meet.